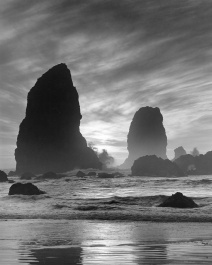 With a masterful eye for light and composition, Ray Atkeson spent more than 60 years documenting Oregon and the Pacific Northwest in stunning photographic images, and now his vast photo legacy is part of the UO Libraries' Special Collections and University Archives. 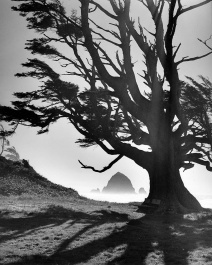 Rick Schafer, the photographer’s stepson, recently donated the Ray Atkeson Photography Collection to the university. It totals more than a quarter of a million images capturing the region's people and landscapes over several decades. "Ray Atkeson’s artistry and deep sense of connection with nature and landscapes speak for themselves," said Danielle Mericle, curator of visual materials with the library. 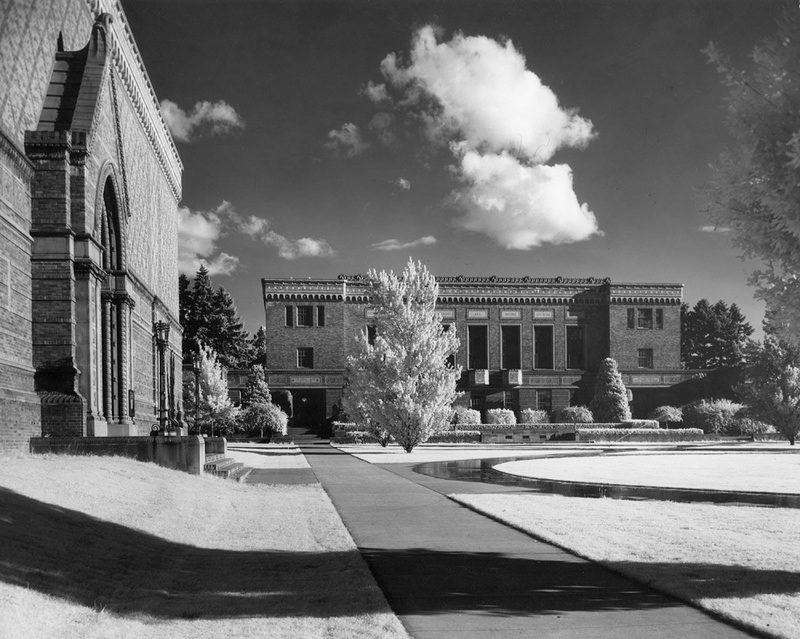 "This archive will be a valued addition to our special collections and a boon for future researchers of photography, Northwest history and beyond." 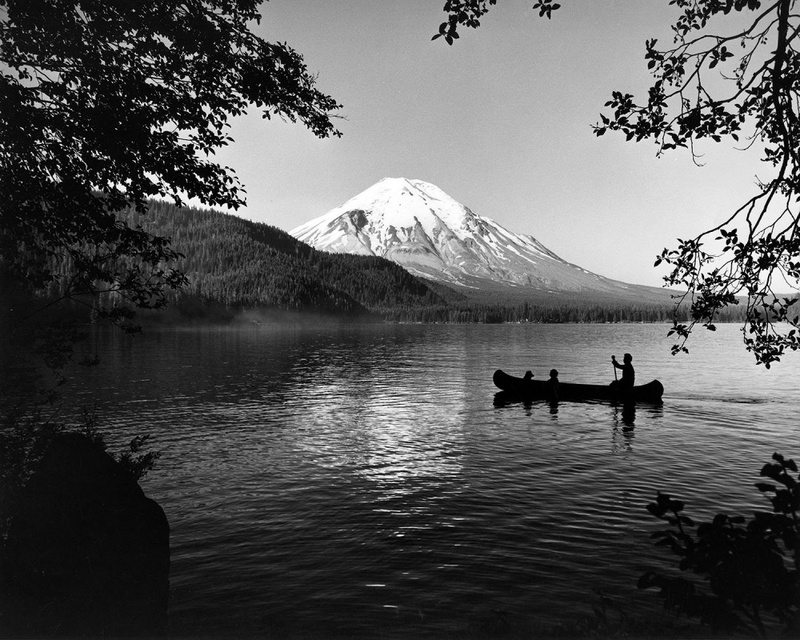 The New York Times once crowned Atkeson "the dean of Northwest nature photography," and he served as the state’s photographer laureate from 1987-90. "Ray Atkeson has brought the state of Oregon national and international acclaim," said Gov. 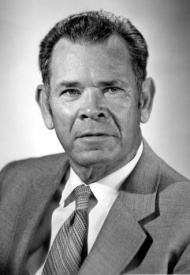 Bob Straub, honoring Atkeson as a Distinguished Citizen of Oregon in 1977. 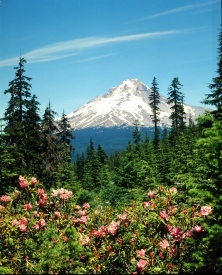 "His passion for Oregon’s unmatched natural splendor has made him a goodwill ambassador." The Ray Atkeson Photography Collection consists primarily of large-format, black-and-white negatives and large- and medium-format color transparencies, more than 250,000 images in total. Schafer, who was also the photographer's protege, maintained the archive for nearly three decades following Atkeson’s passing. "From my perspective, this is not simply about a photography collection or boxes of film," Schafer said. 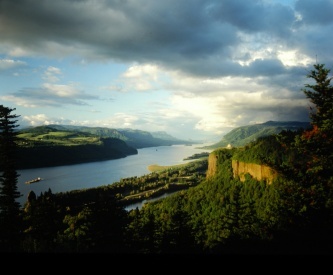 "This is the archive of a great artist and recognized cultural ambassador for Oregon. 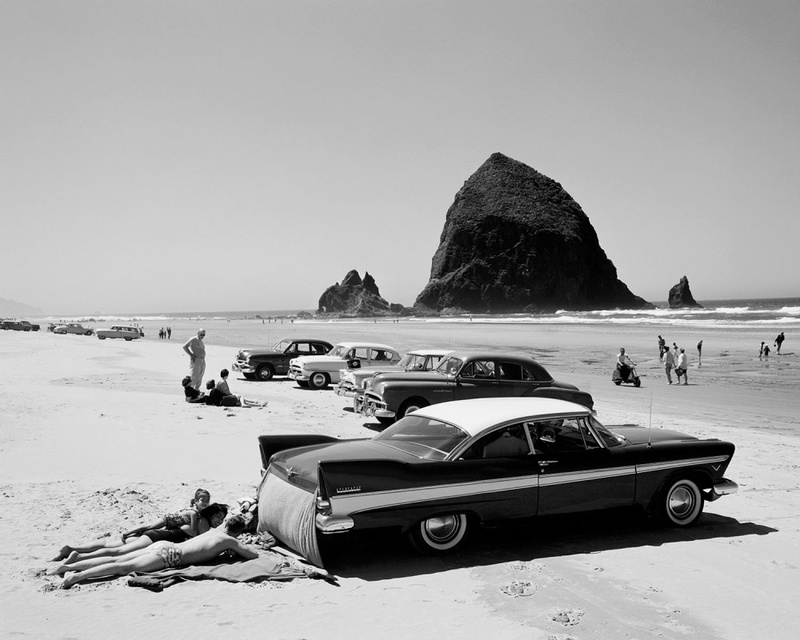 But more importantly, Ray Atkeson created a body of work that spans seven decades of history in Oregon and the Western United States." Born and raised on a farm near Grafton, Illinois, Atkeson began experimenting with a Brownie box camera at the age of 15. His first publication occurred just one year later, when his impressionistic shot "Union Station at Night with Snow" won an award from the Kansas City Star. 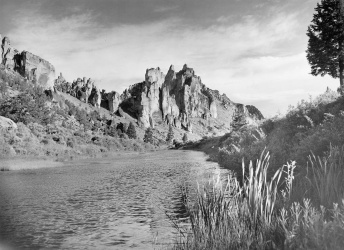 As a young man, Atkeson set out for points west, working as an itinerant laborer and using the time in between jobs to explore the Colorado Front Range and Bryce Canyon in Utah. 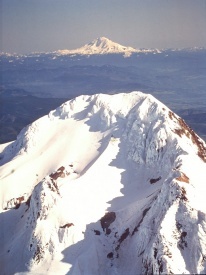 "My stepfather worked in wheat fields of the Midwest and a box factory in Mount Shasta," Schafer said. 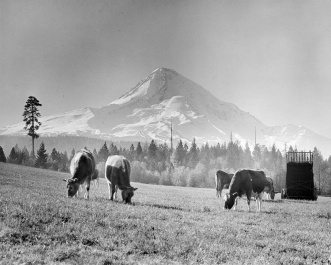 "His first job when he came to Oregon was on a farm in Hood River picking apples. 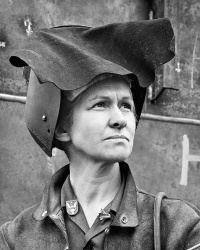 Ray had his roots in hard, manual labor, and that was always reflected in his approach to photography." 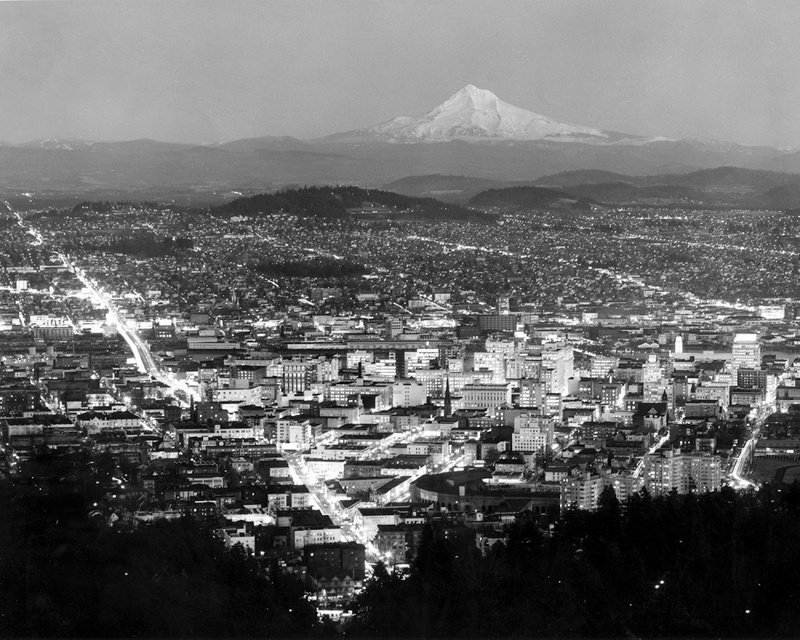 In 1928 Atkeson landed a temporary job with the Photo Art Studio in Portland. His employer, Claude Palmer, was a self-taught perfectionist who probably saw something of himself in the hard-working and curious young man. The boss was free with his advice; Atkeson came to regard Palmer as a role model and mentor, and he would remain in the “temporary” position for the next 18 years. 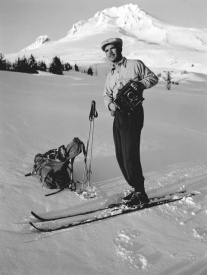 Another key influence on his life and work arrived in the form of Mira Crane, a fellow outdoor enthusiast whom Atkeson married in 1929. Their daughter Eleanor was born in 1935. In addition to his commercial work at Palmer’s studio, Atkeson kept busy evenings and weekends pursuing his own creative vision. 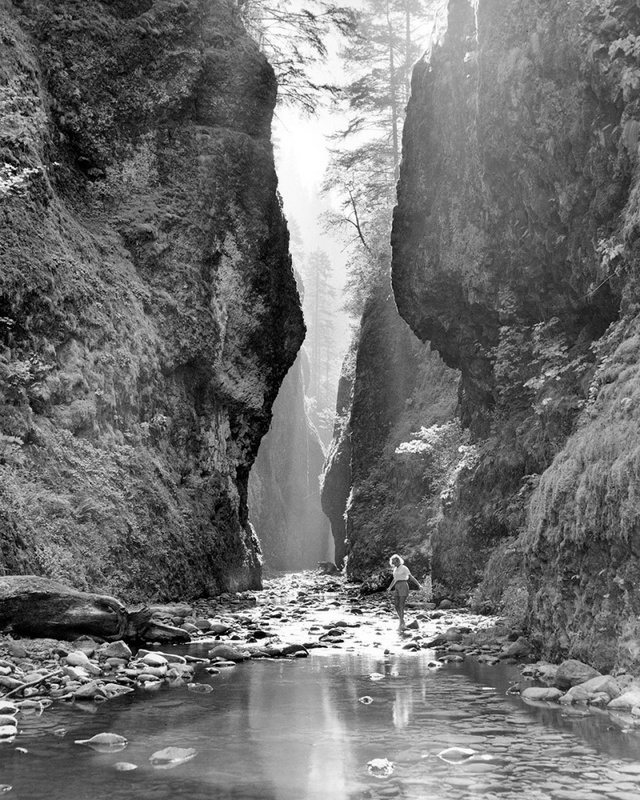 A founding member of the Columbia Hikers Club, he sought inspiration in the majestic landscapes of Oregon and neighboring states. 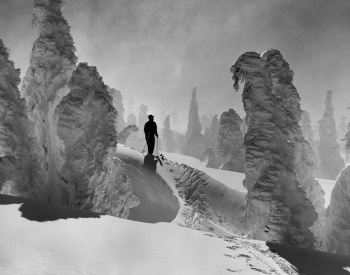 A literal trailblazer of nature photography, Atkeson became adept at driving his Ford Model T along rugged mountain backroads and packing his bulky, large-format camera equipment into remote wilderness areas. 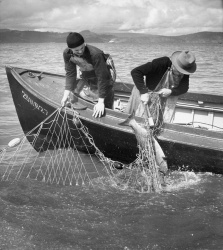 He was equally fascinated by the people of Oregon and how they interacted with their environments; other subjects captured by his 4x5 Speed Graphic during this period include a 1930s series on coastal fishing vessels and another documenting women workers in World War II-era Portland shipyards. 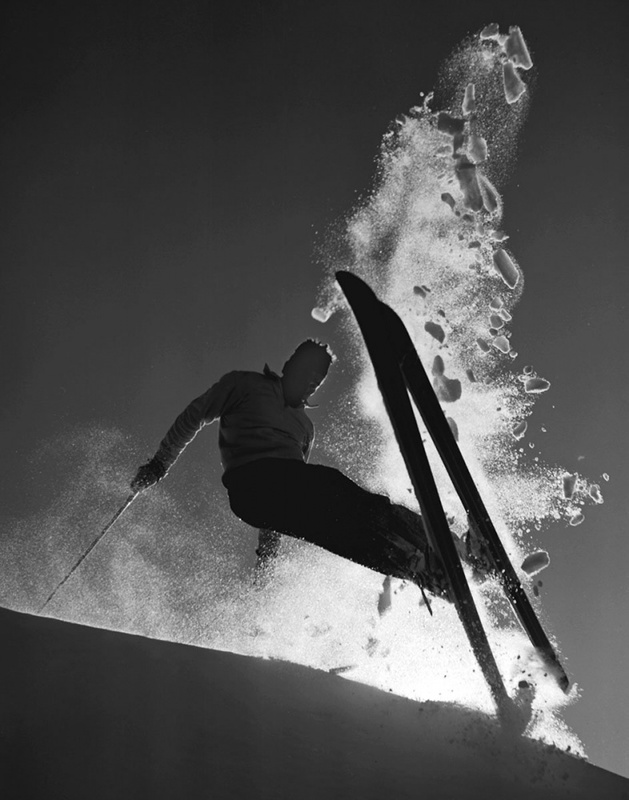 In 1930, Atkeson met and photographed Hjalmer Hvam, a future U.S. ski champion and Olympics coach. Already a burgeoning local celebrity just three years after arriving in Portland from his native Norway, Hvam introduced Atkeson to other world-class skiers, and the foundations were laid for some of his most enduring work. 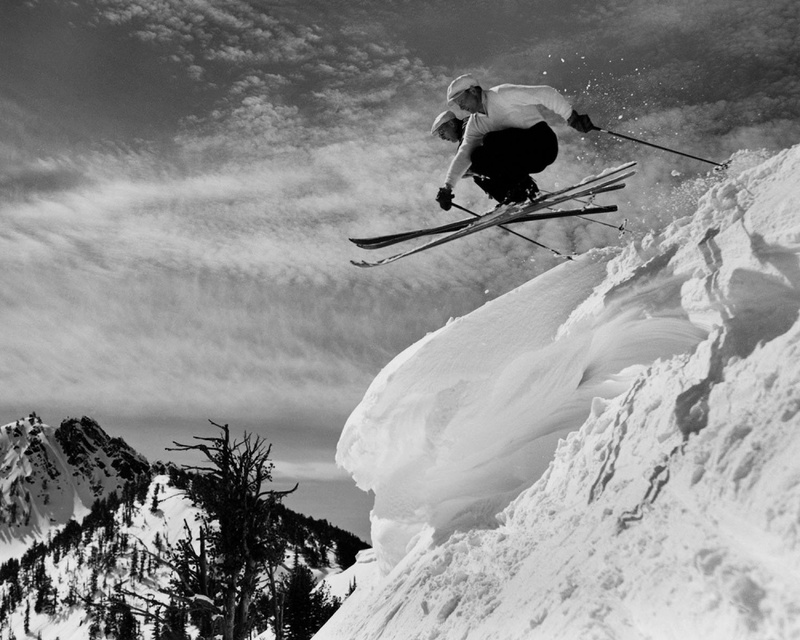 Ascending the winter slopes of the intermountain West in the days before the chairlift was invented, Atkeson became a pioneering snow sports photographer, “the finest ski photographer ever” in the estimation of Alan Engen, chairman emeritus of the Alf Engen Ski Museum at Utah Olympic Park. 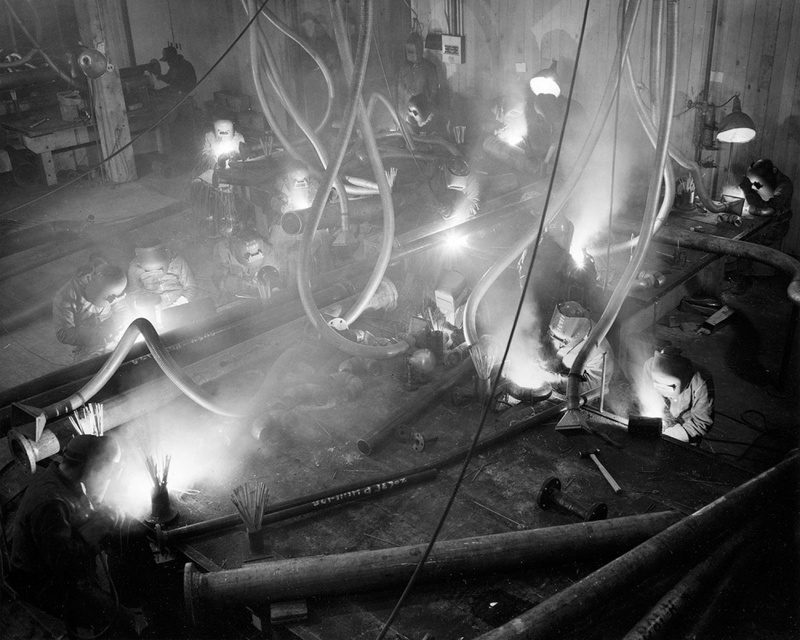 In 1946 Atkeson left Photo Arts Studio to concentrate on a full-time freelance career. In the decades that followed, his advertising clients would include Ford, Chrysler, General Motors, United Airlines and Eastman Kodak. Atkeson’s work was extensively published in newspapers, including the Los Angeles Times, the Chicago Tribune, the Seattle Times and the Houston Chronicle, and in magazines including National Geographic, Life, Sports Illustrated, Reader's Digest and the Saturday Evening Post. 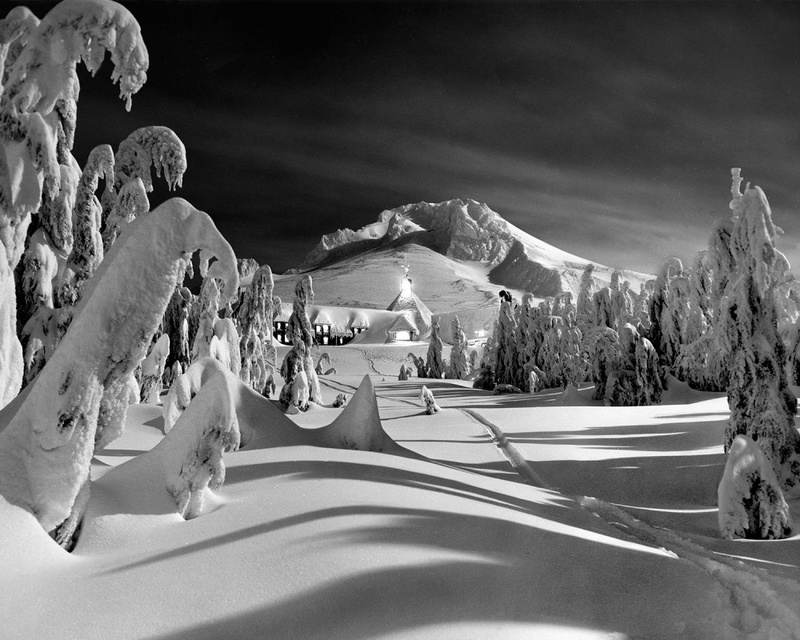 Beginning with "Ski and Snow" in 1960, Atkeson’s photography was compiled in more than a dozen large-format books, including "Northwest Heritage: The Cascade Range" in 1969, "Oregon Coast" in 1972, "Beautiful Oregon" in 1974 and "Portrait of Oregon" in 1980. The works were instrumental in helping establish the commercial viability and artistic integrity of modern coffee table books, a publishing genre that was then in its infancy. Altogether they would sell more than a million copies worldwide. Although he was achieving his greatest fame in this era, Atkeson also endured a number of personal setbacks in the 1970s. Family illness forced his semiretirement for a period of three years, and his beloved wife Mira passed away in 1976. Atkeson’s eyesight was deteriorating — a terrifying prospect for a photographic artist — and he travelled to Austria to consult with vision specialists. The doctors were at least able to stabilize the decline, allowing Atkeson to resume his life’s work. He also remarried in 1977. With his wife Doris Schafer and three young stepchildren — Rick, Lauralee and Susan — Atkeson entered a new phase of family life that helped to rejuvenate him. 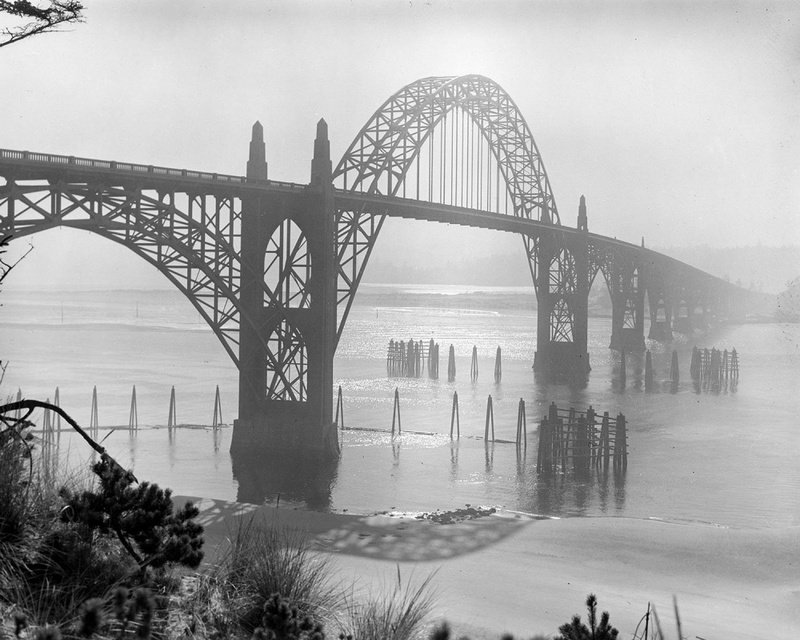 With their encouragement and assistance he continued to travel and shoot photos throughout his final decades, amassing honors including a Portland Advertising Federation Award, Governor Tom McCall Award, Oregon Governor’s Art Award and an honorary Doctorate of Fine Arts degree conferred by Linfield College. 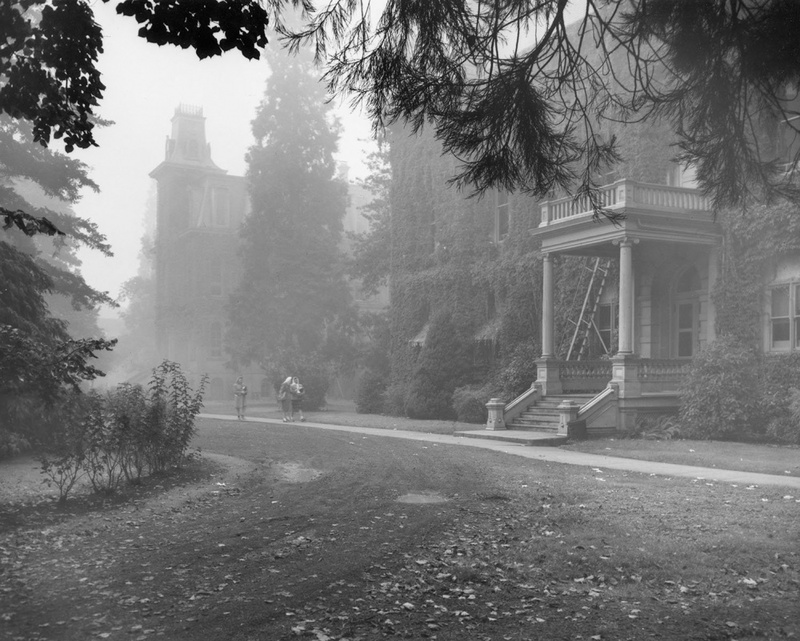 Photos courtesy of Special Collections and University Archives, University of Oregon Libraries and Rick Schafer. View more of Ray Atkeson’s photography at rayatkeson.com.